The Greedy Pinstripes: Quick Hit: What About Joe Nathan? The New York Yankees are in search of bullpen help this season and there is no such thing as a bad minor league deal so it begs the question…. Should the New York Yankees offer one of these minor league deals to 42-year old Joe Nathan? I mean, maybe. I have said it a million times and I’ll say it another million and one times if I have to, there is no such thing as a bad minor league deal. There’s no team crazy enough or desperate enough to hand Nathan a job right now attached to a guaranteed contract so if he is going to accept a minor league deal regardless why not make that deal come from the Yankees? If he doesn’t recover or never makes it back to the Major Leagues the Yankees are out pennies in the grand scheme of things and a month or two of a roster spot that could have went elsewhere but if he comes back and is even a shell of his former self the Yankees could have an absolutely deep back-end of their bullpen. 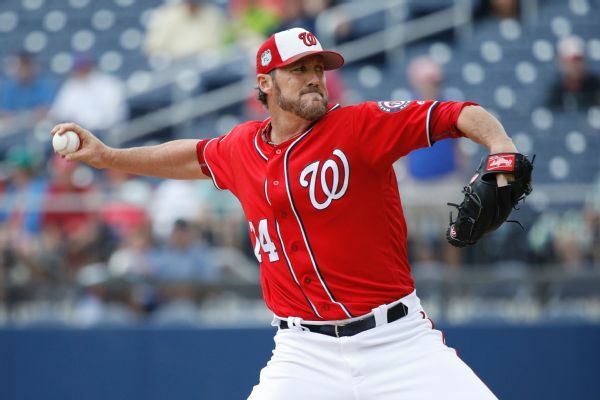 The Washington Nationals recently released the 42-year old Nathan after just 6.1 innings pitched last season with the Chicago Cubs and the San Francisco Giants. Nathan is recovering from a second Tommy John surgery in his right elbow and posted a 2-0 record with a 0.00 ERA in those innings last season. Nathan ranks eighth all-time in career saves and is the leader among active players in the category with 377 career saves. Extend the offer and see if he bites. Worst thing he can say is no, right?